This is an exquisite menu board with a unique design and color combinations. The black color incorporated within the white background along with the attractive typefaces present a rare elegance to the menu board. 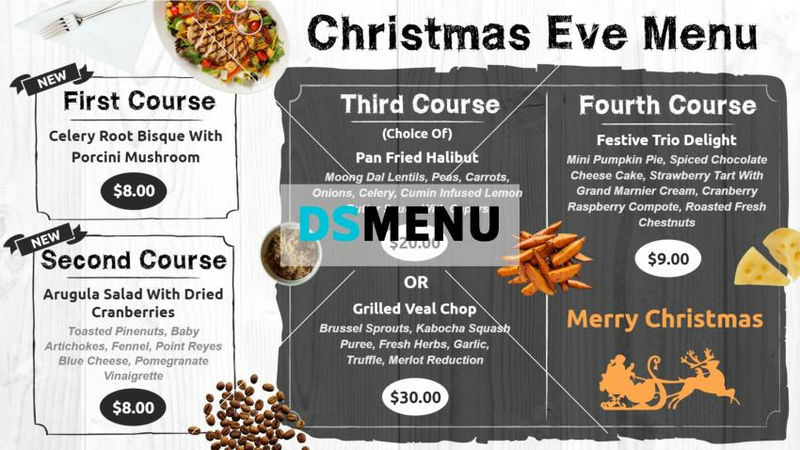 The four-course Christmas Eve meals are aptly advertised with select items. An epicurean’s delight really. On a digital signage the screen will provide a scintillating impact.